[Free Pattern] The Most Beautiful Crochet Cable Hexagon Ever! How many scarves are too many? For most women, scarves are like shoes or bags, a woman can never have too many scarves. 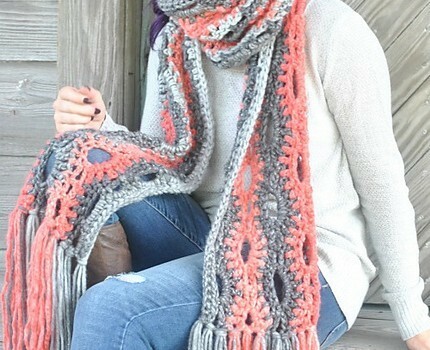 They are some inexpensive ways to look stylish everyday and keep warm. 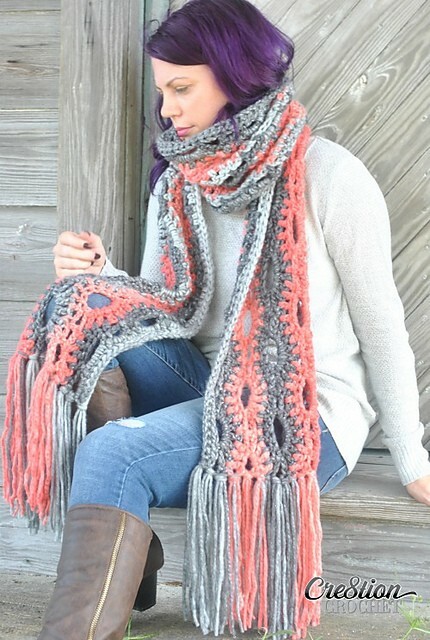 A Poppy in the Storm by Lorene Haythorn Eppolite- Cre8tion Crochet is a unique design mega scarf that looks great in one color, two colors, or more. Pick your favorite colors and look amazing wearing this super scarf. Thanks to Lorene Haythorn Eppolite for the article inspiration and featured image.